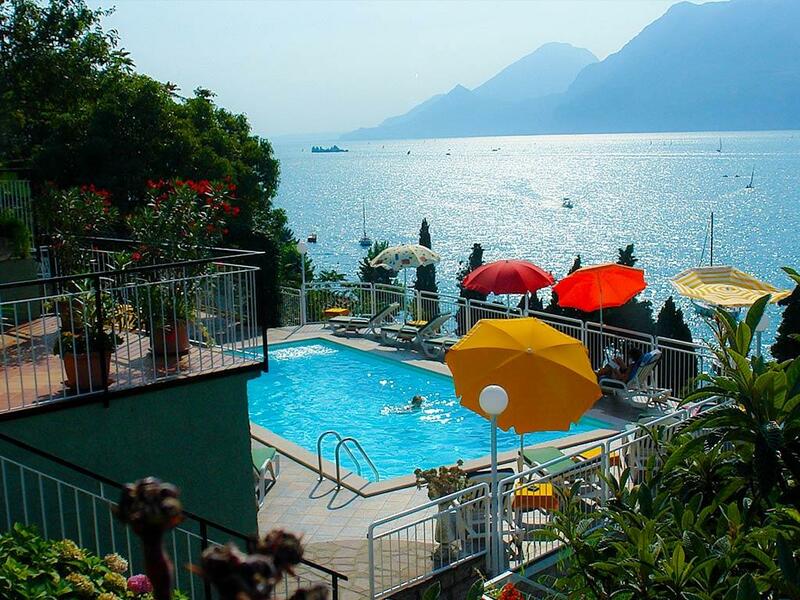 Casa Alessandra is a small hotel run by the Chincarini family since more than 40 years. Most of our guests are regular guests, many come from German speaking countries. 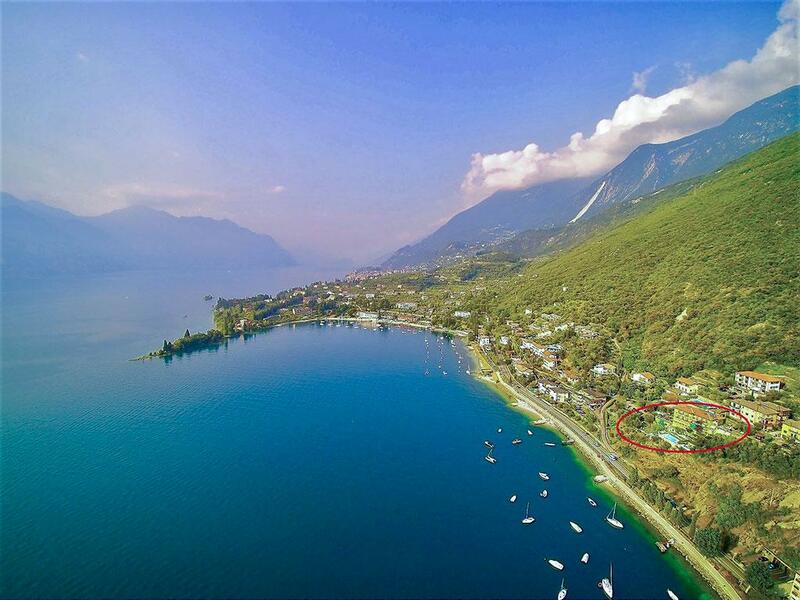 Our site is situated in a magnificent area, facing the Val di Sogno Gulf , just 50 metres away from the Gardalake beach and 2.5 Km from the centre of Malcesine. 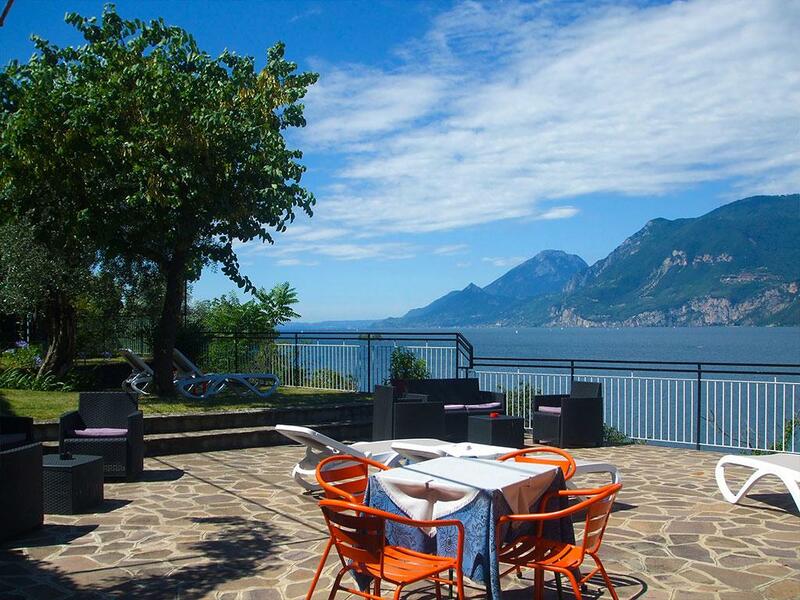 Allmost our rooms have balconies offering a fabulous view on the lake, the rooms are fully equipped, including small shower/toilet, phone, Sat-TV, mini-fridge, electric fan, hairdryer and safe. Our hotel offers beside a pool, a generous terrace, umbrella and beach beds also a wide garden area which invites to play garden chess as well as table tennis. 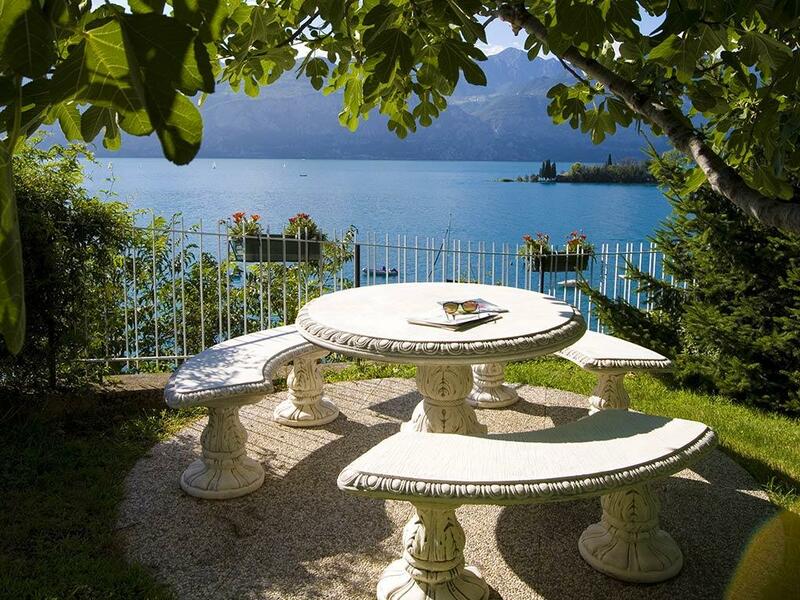 At our barbecue area you can have your own private barbecue. Wi-Fi free. A closed car park including video surveillance is at your disposal. Come and discover the magic of this country! Malcesine offers excursions to the top of the Monte Baldo (1.800 metres above sea level), it takes only 15 minutes by cable car, enjoying a fully rotating cabins, to get up there. If you like a little excitement, besides enjoying the panoramic view and nice walk, you can paraglide down by tandem jump. Fans of water sports will enjoy the sailing school (www.stickl.com) located just 800 m from the hotel. You will find offers of training courses for sailing, wind and kite surfing and sup, for our youngest sportsmen sailing courses on small boats called optimist are available. Friends of bike riding can discover numerous tracks criss-cross the Monte Baldo area. Suitable bikes are available for rent at Malcesine. Malcesine can be reached from morning until night by using the official tourist bus (fee 1,20 euro). At the village you can walk around the picturesque alleys and aisle discovering typical restaurants and lovely shops. At the Palazzo dei Capitani and at the castle, classical music is presented during regular short concerts. 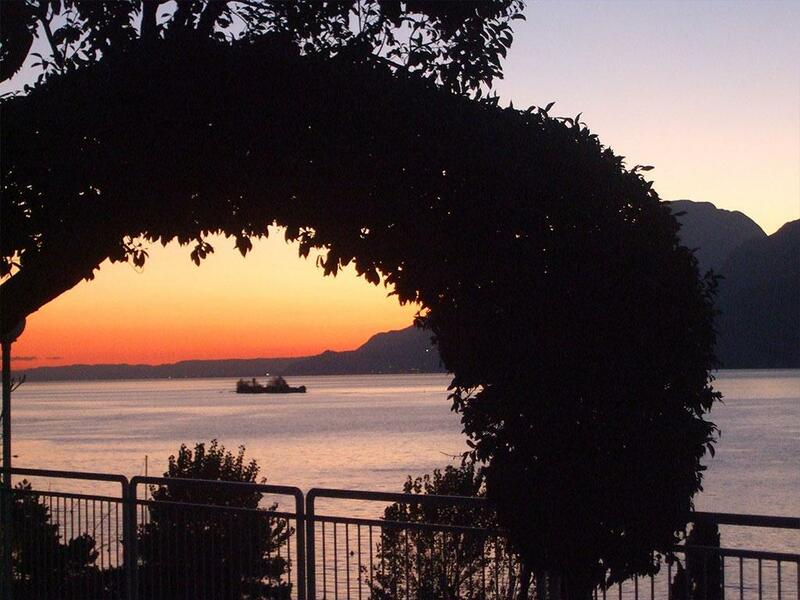 Other places around the lake Garda can easily be accessed by taking one of many ships, stopping at Malcesine Ports. Excursions to Verona, Venezia, Opera at the Arena and other places can be booked directly with us. Arena di VeronaThe Arena di Verona is a roman amphitheater in the center of Verona, the city's landmarks together as the characters of Romeo and Juliet. 64 Km from Malcesine. Gardaland Gardaland is an amusement park, the 8° Europa-Park for visitors. 43 Km from Malcesine. The shrine of Madonna della Corona, inside the sanctuary there is the Scala Santa, stairs reproduction which is located in Rome near the Basilica of St.John Lateran. 41 Km from Malcesine. 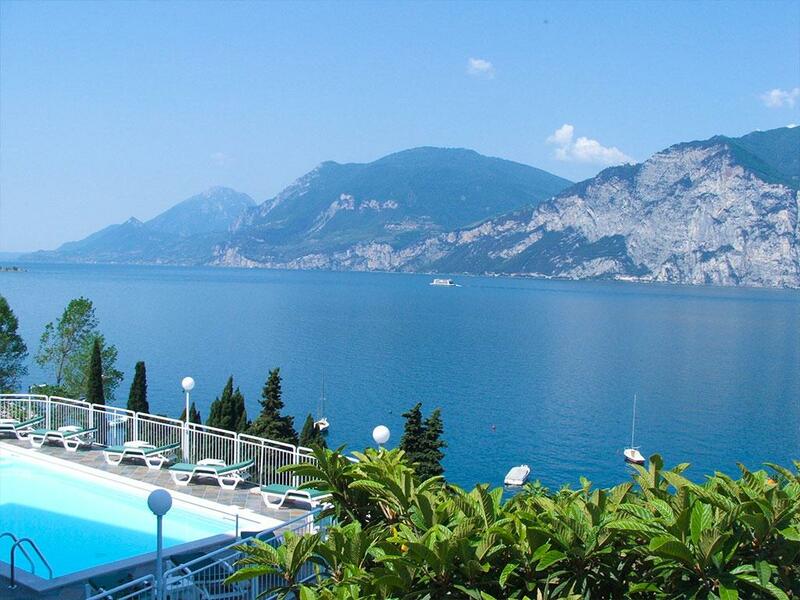 The island of Garda, also known as the island Borghese, is the largest island of Lake Garda. Limone, 29 km from Malcesine.